Jennifer took her first yoga class in the year 2000 and fell in love with it from the start. She began studying to become a 200 hour registered yoga teacher in 2012 under yogi master Kim Schwartz, through the Temple of Kriya Yoga in Chicago, IL. 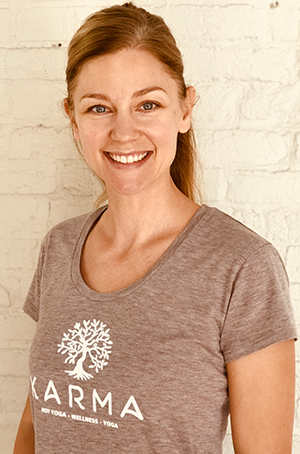 Jennifer went on to become certified in children’s yoga through the Yoga Alliance approved programs Young Warriors and Yoga4Classrooms. In addition to being a yoga teacher, she is also a level 2 Reiki practitioner. Next year, Jennifer will be graduating with a bachelor’s degree in Communication from the University of Colorado at Colorado Springs. With gratitude, she offers messages of self-love, positive body-image, and most importantly, that yoga is for everyBODY!